Cardboard packaging and boxes can be found everywhere. 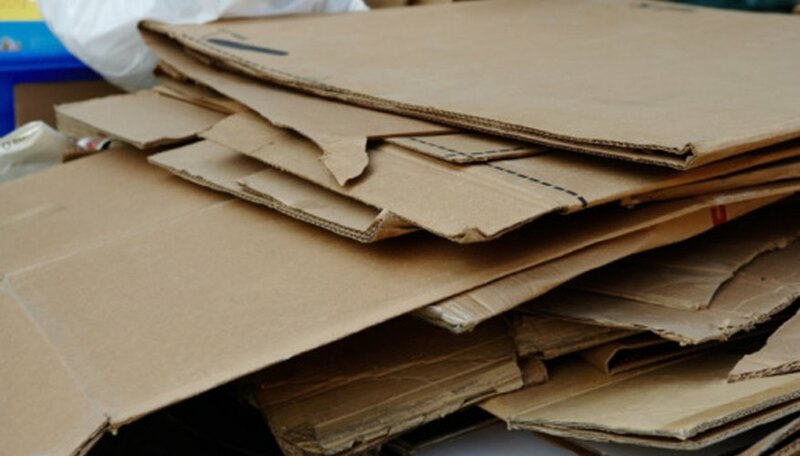 Usually people are trying to get rid of it but cardboard is a versatile medium for making creative projects. You can reuse it instead of tossing it. 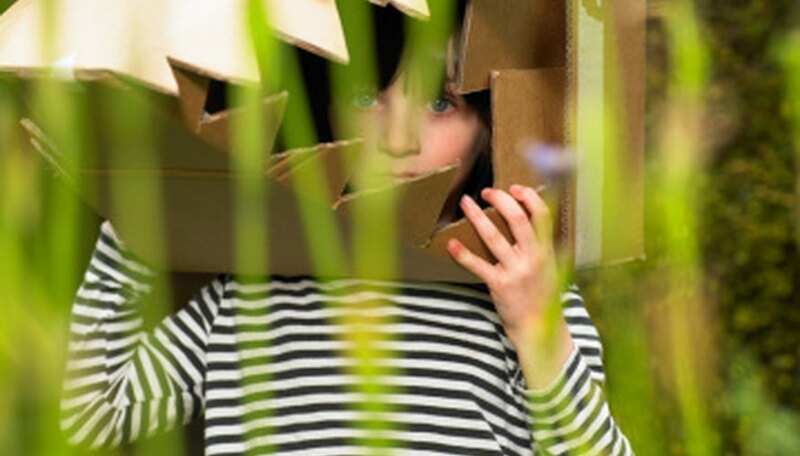 Children, in particular, like to play with cardboard. You can paint it, cut it, bend it, fold it and turn it into something fantastically funny in no time! A good project for a rainy day or for Halloween time is to create monster masks. Each child will need a piece of cardboard about the size of a large paper plate. There is no need to cut it out nicely. Just tear off a piece from a box and let the child use the unconventional shape to determine what kind of monster to create. Help the child cut out eye holes and provide craft supplies so she can decorate the mask however she want. Staple elastic to each side of the mask so the child can wear it. Children love to see how big they are. To make a life-size cardboard doll, you’ll need large refrigerator boxes, which can be picked up at no cost from some appliance stores. Ask your child to lie down on the flattened cardboard and trace his body shape with a pencil. Cut out the shape and allow him to unleash his funny creativity as he decorates his personal cutout with paint, paper, glue, fabric, foam sheets, stickers and markers. Children can use their cutouts as actors in a funny play or simply as a funny decoration in their bedroom. Make the frame of a television set with a large square hole on the inside where children can stand and act out their own funny TV show, movie or commercial. Allow the children to decorate the frame with bright colored paint, stickers, sparkles and other craft materials to make it fun and entertaining. Let it dry and add a fake antenna to the top for authenticity. Help the children write a funny skit and then sit back and watch as the children act out their own creative scenes as TV actors for hours of entertainment! Everyone knows how to play with dice, but not many people have made their own dice. To make a pair of dice, you’ll need two pieces of cardboard for each person. Find a cube template on the Internet. Print the templates and glue them to the cardboard. Cut them out and follow the directions to make them into a cardboard set of dice. Write action words on each surface of the dice where the numbers would traditionally be located. Some examples of action words might include clap, sing, dance, or hop. You’ll write a different action on each side of the cube. Children take turns throwing the two dice at the same time. The child must perform both actions that present themselves on the top of the dice simultaneously. This will result in lots of laughing and a funny experience for all. Take turns and see who gets the funniest combination! Melissa Wilson has been writing since 2002, specializing in topics related to education and business management. She received her Bachelor of Science in human services management from the University of Phoenix. Wilson is the owner and lead teacher at a private preschool in Houston.